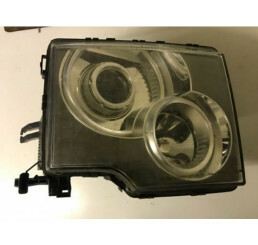 Range Rover L322 Td6/V8 Offside / Driver Side Headlight XBC001320Good used working conditionWill fit.. Range Rover L322 Td6/V8 Offside / Driver Side Head.. Range Rover L322 Td6/V8 Offside Driver Side Lower Wing And Mudflap BurgundyGood used condition,Will .. Range Rover L322 Td6/V8 Offside Driver Side Lower .. Range Rover L322 Td6/V8 Steering Wheel Air Bag EHM500061WQJGood working condition30 Day parts warran.. Range Rover L322 Td6/V8 Steering Wheel Air Bag EHM.. Range Rover L322 Td6/V8 Tow Bar Loom YMR500890Good used conditionWill ft 02-09 Range Rover L322.. Range Rover L322 Top Dash Board Section BlueGood used conditionRemoved from 2003 L322 Range Rover.. Range Rover L322 Transfer Box 3.0 Td6 IAB000033Good used working conditionRemoved from 2003 Range Ro.. Range Rover L322 Transfer Box Wiring Loom YMD000710/L30M57DGood used conditionNo damage to cablePlea.. Range Rover L322 Transfer Box Wiring Loom YMD00071.. Range Rover L322 Wiper And Washer Stalk XPE000010WQDGood used working condition30 day parts warranty.. Range Rover L322 Wiper And Washer Stalk XPE000010W.. Range Rover Sport/L322 3.6 Tdv8 Offside/Right Fuel High Pressure Rail 6H4Q-9D280-BBGood used working.. Range Rover Sport/L322 3.6 Tdv8 Offside/Right Fuel.. Range Rover Sport/L322 4.2 V8 Vacuum Pump SQJ500081Good used working conditionPlease check current p.. Range Rover Sport/L322 4.2 V8 Vacuum Pump SQJ50008..